Last week, a 48-year-old man was killed while riding his motorcycle on Highway 101 in the Bay Area community of San Mateo. According to the CHP, the motorcycle accident was the result of a traffic backup caused by an earlier auto accident which had blocked the highway. According to CHP and San Mateo Authorities, the rider was heading north on the highway near Dore Avenue when he lost control of his motorcycle (a 2006 Kawasaki) and crashed. CHP reports indicate that he lost control as he was approaching the traffic backup from the earlier accident, apparently seeing the traffic jam too late and slamming on his breaks. Although the rider was wearing a helmet, he unfortunately succumbed to his injuries. Our thoughts and prayers are with his family. 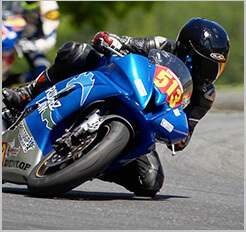 As motorcycle accident lawyers, we see tragedies like this play out every day. What would only be a simple fender bender or cracked windshield in a car can be a devastating and deadly accident for someone on a motorcycle. That is why it is critically important that bikers be constantly aware of their surroundings and of other cars. Make sure to get proper motorcycle safety training and wear appropriate safety equipment. Sadly, it appears that this motorcycle accident was entirely preventable. The information from this story was obtained from the San Mateo County Times.